I will freely admit, my husband and I may be addicted to computer gadgets. If something new comes out, we have to try it. We even have our own little quirks, like his preference for his Nexus, while I love the ease of use that comes with the iPad. It isn’t that we have to have the latest and greatest, but we have a very tech oriented house and love anything that can bring a bit more convenience to our lives. The one time we really can’t enjoy most of our gadgets is when we are traveling. Usually, we have to deal with my FM transmitter for my iPhone, which has badly needed a replacement. It’s even worse when we are traveling for business and don’t have access to our media server in the living room, which has all of our videos, music, and computer game backups. It is when we don’t have our files that it is obvious that we are media junkies. More than once we have wondered if there was anything on the market to make our life easier, without having to carry a bulky external hard drive that only stores our data. 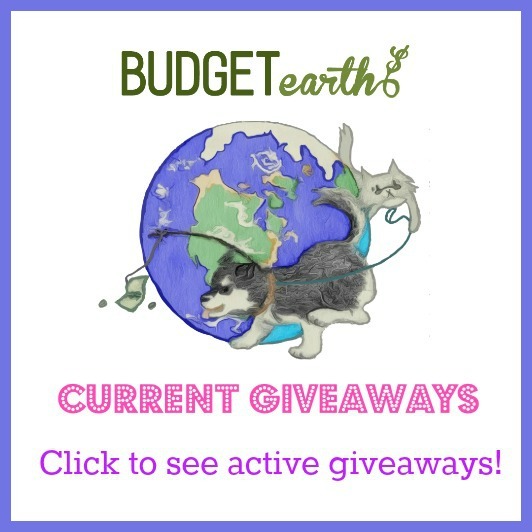 Just when I was about to start our search, I was approached about the Seagate Wireless Plus and asked if I would be willing to review it on Budget Earth. After looking over the specs, I was too impressed to not say yes! Make watching or listening to your favorite music on the go easy with the Seagate Wireless Plus! With this media device, you no longer have to struggle with figuring out what information you will store on your tablet or smartphone since you can literally bring everything with you on the drive! This drive is capable of holding over 500 HD quality movies, 16,600 hours of music, 320,000 photos, and even more documents! Want to know the best part? It can stream wirelessly to up to 8 devices simultaneously without being on a wireless network! With this awesome 1 TB hard drive and media device in one, you can turn any room into an awesome hotspot for up to 10 hours on battery, or indefinitely with the included adapter, entertaining friends and family alike! I will freely admit, my husband I both were like little kids on Christmas morning when the Seagate Wireless Plus drive arrived in the mail. We are a very tech friendly household, and have just about every gadget you can imagine (or so it feels when we have to find storage places for them all). What we didn’t have was a way to easily transport music, videos, and other files with us on the go. With how much we are traveling, it seemed awesome to have one drive that could stream music throughout the car and allow us to watch videos on our tablets before bed in the hotel room. As long as everything worked as advertised, we had the possibility to have most of our media library with us anywhere. While I was very excited, I was a bit nervous getting it out of the box. As anyone who plays with computer hardware and media devices will tell you, setup is sometimes a beast for even the most simple devices. To my surprise, most of the setup was done for me. From the moment you plug the Seagate Wireless Plus into a USB port, you have just about everything you need to get started. When you first look at the drive, it will look like a normal external hard drive, though it comes with some pre-set up folders, such as music, documents, photos, videos, and a Seagate folder with information on the drive. At this point, you use the drive just like any other hard drive, dropping everything into the correct folders and going from there. To test the drive out, we ended up copying over 80 gigabytes of music, videos, and programs that we would normally like to bring with us or access on our tablets. On a 1 terabyte drive, this obviously leaves a lot more room for music and videos! Once you have your desired files on the Seagate Wireless Plus, you then remove it from the USB drive and plug it into a wall outlet using the provided charger. Why do this you may ask? Well, I am glad you asked! At this step, the drive switches from being your everyday external hard drive to a powerful media sharing device. In this stage, it is going through the data and collecting information about what it finds that you added, to make it capable of streaming on various devices. Now, the downside of this is that this can take anywhere from half an hour to several hours to finish. We gave up waiting with the massive amount of data we put on our drive in one go, and let it finish overnight. If you are impatient and want to check it on your drive, you can connect to it wirelessly, where it will tell you it’s still making tables, or show you its media interface to start streaming. If you are anything like me or my husband, you are probably wondering about the actual specs of this device. The Seagate Wireless Plus is a 1 TB hard drive. It supports both USB 2.0 and USB 3.0 (which is obviously better for moving data quickly quickly – we saw transfer speeds that were 2-3 times faster over USB 3.0). It also comes with a compact wall charger that is easy to store away in any small pouch of your laptop bag. This sleek looking device is fairly compact, making it ideal for throwing in your laptop bag or purse. As well, the Seagate Wireless Plus works with just about any device or operating system, including Macs, PCs, iPad, iPhone, Kindle Fire, and most Android devices – in general, if it has wireless capability and a web browser, you will probably be able to use it to some degree. To me, this is what truly makes the Seagate Wireless Plus a must for everyone – the user friendly, easy to navigate user interface. Really, the hardest part of the media interface is putting in a password if you decide to protect your drive (which we do). Once the wireless connection forms between your device and the Seagate Wireless Plus drive, you decide what you want to access or stream directly from the drive. By just clicking on the file (most of which have an associated picture showing the movie or band), you can start streaming just about anything on your computer, tablet, or even smart phone. From our testing, we found it worked beautifully with the iPad, iPhone, Nexus 10, and my husband’s Shield (a portable Android gaming device). Everything played beautifully and quickly. With how the Seagate Wireless Plus is designed, I can even stream a different file on a second device without either of us having issues. For me, this makes is pretty great if I want to listen to music while he watches an anime or tv show. I will freely admit, I think the Seagate Wireless Plus may be one of the best gadgets I have played with in quite some time. It really does take care of all of our media needs and I can’t wait to try it the next time we go on one of our ten hour drives to New Jersey. As well, I could easily see this being a fun way to take all of our digital books, especially D&D books with us to sessions, allowing everyone to quickly access them in the room if they have questions. 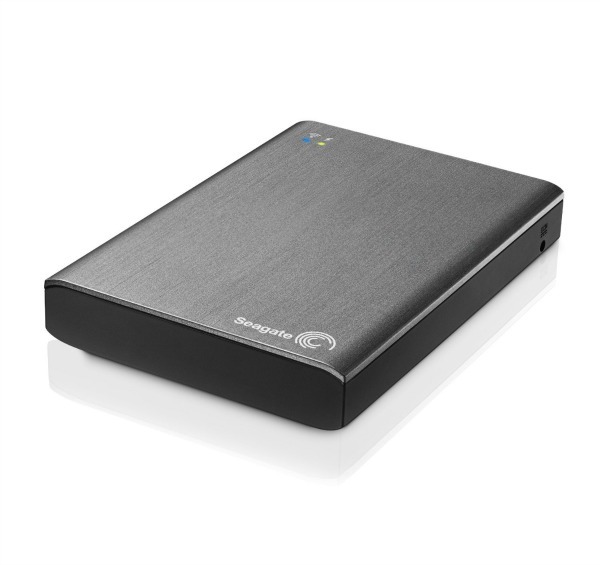 If you love watching movies, listening to music, or reading books on the go, the Seagate Wireless Plus is a must! After our awesome experience with this Seagate hard drive, I am happy to give it an A+ rating! Would you like to try this amazing device? You can currently purchase the Seagate Wireless Plus on Amazon.com, Best Buy, Walmart, or even Staples for about $199.99. From my own research, Amazon currently (as of 11/20/2013) has the best price on the Seagate Wireless Plus, selling it for $183.73. If you are looking for something awesome to give as a gift or to treat yourself, I highly recommend grabbing this device! Disclosure: Budget Earth did not receive compensation for this review but did receive a Seagate Wireless Plus for review purposes. All opinions on this product are my own and may differ from our readers’ opinions. Would you like to have your products featured in a similar review or giveaway? Want to increase your social media exposure before the holiday season? See how we can help! Contact susan.l.bewley@gmail.com to see what we can do for your company! This is really awesome.A wireless storage that hassle-free. I recommend to buy this one. This sound to me like it is just like any other storage device just with more space. Isn’t that the truth! We are moving to ripping most of our movies to a digital format, especially our old video cassetes. I mean, who really has ROOM for all of these boxes! I'm pleased that you have had such a positive experience with this product. 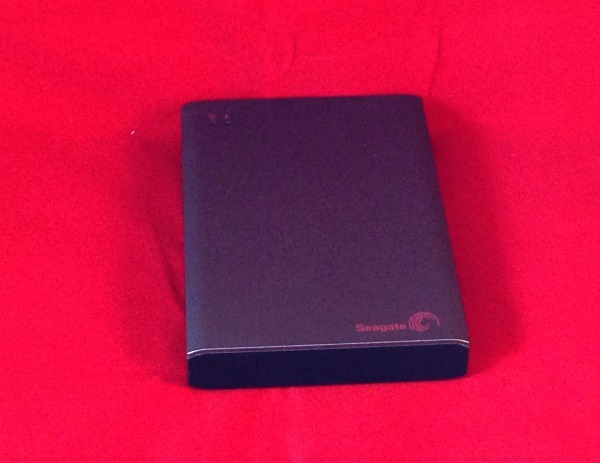 I've used several different products from Seagate and was always pleased as well. I'll definitely buy my next hard drive from them. This is awesome – and would be perfect for my husband and I who travel a lot to places where we'd love to watch a movie but cannot access them. This would help with all my storage and devices I have. Thanks for sharing. Awesome review. Nice. My man would love this! Thanks for the review. I have been looking for new storage. My current ones are too old and too bulky. This will be great for sharing stuff between my computers. My oldest son is the techy in the family and I am sure that he would like to be able to get one of these gadgets. I myself am happy with my laptop. The possibility of having our media library with us on the go would be so awesome. I thought that 16,600 hours of music and 320,000 photos and much much more was very impressive. 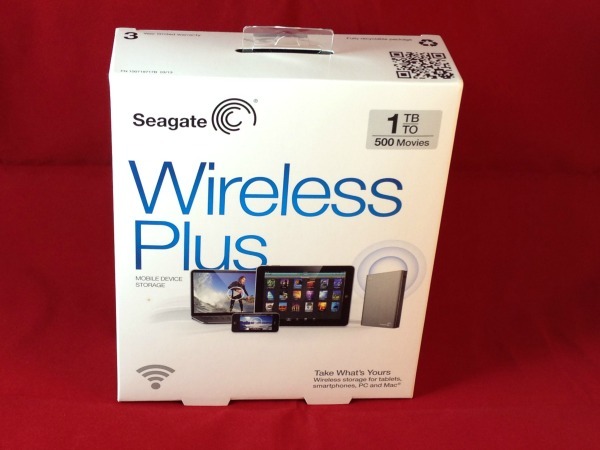 I would love to own a Seagate Wireless Plus! Pinned it to my wish list. This would be awesome for traveling. Going to have to take a look into it some more! Does it have a mode where in wireless mode, the mobile device can access the drive from a 'folder' point of view, like you would as if you plugged it into a computer and viewed it in Windows Explorer? That's what holds me off from 1 of these drives, there is no way to use it like a normal external drive when in wireless mode. It turns into an apple-esque newbie device. What if I have some files with less common formats and the computer in the drive doesn't recognize them and put them in the tables for accessing wirelessly? Maybe such as .xps, .exe files, .7z files and more. We actually have .exe’s on the drive but I was more focuses on the media during testing. I will get back with you on that and let you know! This media device looks very useful. Thanks for sharing! I loved reading the review its good to know about a lot of various features segate has and the best is i can use it anywhere in the world i travel without haveing second thoughts. i love the memory capacity its exactly what i want this product has it all. I want this! I wish I had it before I switched phones! The media interface looks amazing! It's so clean! Awesome review by the way. I have a seagate slim, I love it. I keep 100 + movies on it as well as important files. I would love to have the "wireless" it would come in handy for the whole family! How does the mobile hot spot work? Is this the same as using your 3G or 4G from a phone? I do love that this allows more than one device operating system, we currently have to use different back up devices for different computers, ie pc, mac. The hotspot works very well. It is more like being able to wirless transfer information anywhere in your house. For example, if you are sitting in a hotel room, the kids could watch their favorite cartoon on their tablet from it while you watch a movie on your laptop. I have struggled to know what kind of external storage I need to get for all my pictures and music. It's incredible that this 1TB drive is portable and acts as a hotspot too! I'm going to save my pennies and get one of these soon. This is a great device and you did a great job reviewing it. Thanks! Sounds great. My husband would probably love one of these. He listens to a lot of music and watch a lot of movies too. Wireless is the way to go. Convenient & capable for all areas of the House. I could use this & have a the MBPS’s I need for ALL my Computers. This is so cool! I tend to be addicted to tech gadgets myself. I want this now! Thank you so much for sharing. Looks like an awesome device, i would love to get my hands on one someday. This sounds awesome. 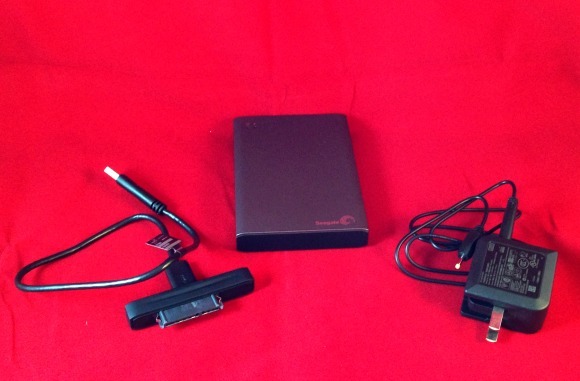 I’ve been needing an external harddrive for a long time, but felt unsure which one to get. I love the wireless capabilities of this one.